Ali Golding is a highly qualified and experienced dance professional, dance movement scientist, researcher, lecturer and teacher. She holds an MSc in Dance Science, a PG Cert in Special Educational Needs and is trained to evaluate and teach Neurophysical Psychology within an educational setting. In addition, Ali has a BA (Hons) in Dance Theatre and over 30 years experience as a professional choreographer highlighting her expertise in the creation and skilled observation of movement. As well as a number of academic articles, Ali has contributed professional perspectives in publications for Dance UK National Magazine, Primary Times, Early Arts UK and The Royal Society of Arts and given presentations at 'MOVE IT’ National Dance Conference, British College of Occupational Therapists Conference, Plymouth University Autism and Alternative Therapies Conference, The Autism Show, The National Autistic Society Autism-Europe International Congress, 'GOOGLE TMInnovation', TES SEN Show, and the Expressive Arts Summit, NYC. Ali is a postgraduate professional and research associate of the charity MEfA (Montessori Education for Autism) and an associate artist of The Royal Academy Of Dance. Sir Robin is a National Leader of Education, Government-appointed Director Quality and Training and Regional Director, South East for Ofsted. Prior to this Sir Robin Bosher was the Director of Primary Education for the Harris Federation. As a Headteacher for twenty-two years during that time he led three very different Primary schools. He became the Executive Headteacher of the federation between Fairlawn, Haseltine and Kilmorie Primary Schools in Lewisham. Fairlawn was a National Support School and was designated as one of the first Teaching Schools in the country. 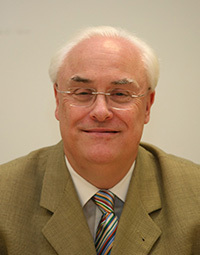 Sir Robin was awarded the National College Primary School System Leader of the Year award in 2010. He is an NPQH coach and has worked on the NPQH programme for over ten years. Robin has experience as a DfE City Challenge Adviser and has led the London Challenge Primary Programme as the Operational Director. He was the Primary Headteacher on the board of the DfE ‘Achievement for All’ steering board and a member of the Primary Reference Group. Sir Robin Bosher was knighted for services to education in the Queen’s Diamond Jubilee Birthday honours, June 2012. Joanne has dedicated her life’s work to improving the lives of individuals with autism through movement and music. Joanne is a core adjunct professor at National University in LA, California and helped design the American Autism Certificate. She earned her master’s in special education, Moderate/Severe and Multiple Disabilities from California State University and a BA in Dance from the University of South Florida. She holds a CCTC California, Moderate/Severe Education Specialist, K–12 teaching credential and taught in the LAUSD for over ten years, where she worked exclusively with students with autism. Her advocacy has led to the founding of the nonprofit organization Autism Movement Therapy® and receiving two 'Autism Speaks' grants. 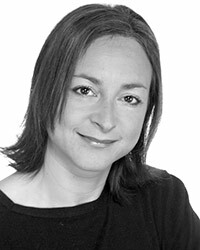 Joanne is based in Los Angeles but travels widely and is often in contact with Ali Golding on shared endeavours. Autism Movement Therapy® lectures, certifies, trains and licenses educators, parents, dancers and professional service providers across the United States, Canada, India, Malaysia, South America, the UK, Europe, Wales, China and Kuwait in the beneficial role that movement and music can play in the speech and language, behavioral and cognitive domains of individuals on the autism spectrum. Joanne produced the documentary, 'Generation A: Portraits of Autism and the Arts' with Temple Grandin, Stephen Shore, Ed Asner and others. She was the Autism Consultant/Technical Advisor for Kiefer Sutherland’s FOX TV show 'Touch'. Joanne is also a columnist for Autism Asperger’s Digest and wrote the methods book Waking up the Brain! - Autism Movement Therapy® Method for Jessica Kingsley Publishers, London.